Soothing Safari 2-in-1 Mobile is rated 1.3 out of 5 by 3. It’s lights out and sweet dreams for baby. The Bright Starts™ Soothing Safari 2-in-1 Mobile™ features over 6 calming melodies and 4 fun characters to captivate baby. The Perfect Fit Universal Attachment™ easily and securely attaches to most crib rails. 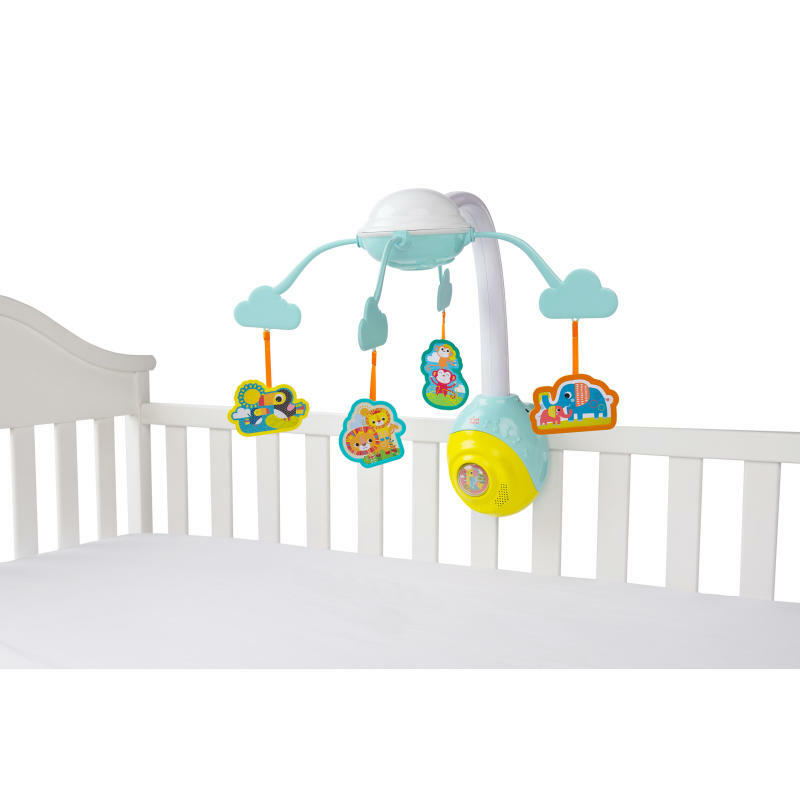 The convenient 2-in-1 detachable base can be used alone as a musical crib toy that creates a soothing environment for baby to drift off to sleep. Dimension (in) 6.5" x 14" x 19"
Rated 1 out of 5 by Deb A from Mobile I bought this for my first grand daughter, which was due on Christmas Day, she was born on January 2. The mobile has no soothing lights and the mobile doesn't spin. Very disappointed.